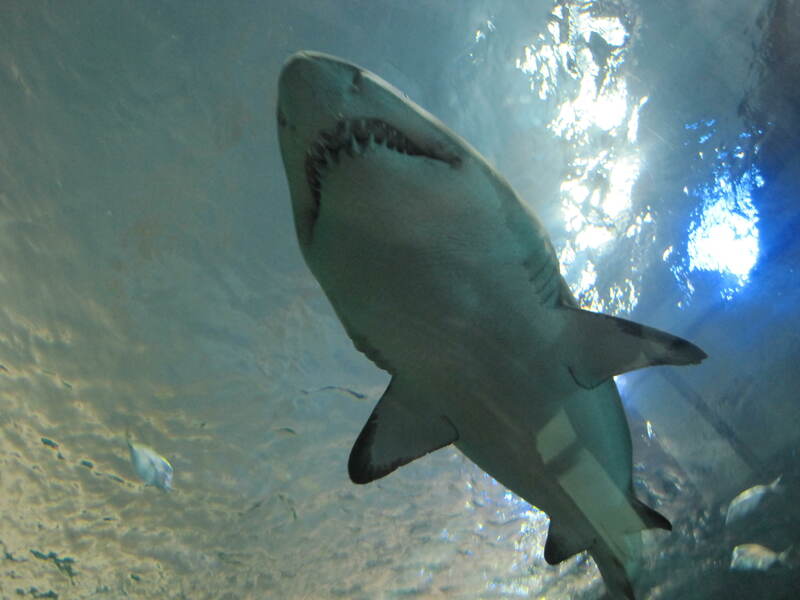 I’m not one to enjoy hitting popular tourist attractions, especially in my own city, but when the new Ripley’s Aquarium of Canada (really, of Canada?) opened up last fall, I was intrigued a wee. We had heard all sorts of buzz about it through co-workers and friends with kids, like, “It’s super busy but it’s worth it,” or “The distance in front of each tank is three strollers deep but it’s pretty awesome, ” or “Go either super early, like when they unlock the doors or later in the afternoon just before they close”. With encouraging statements like these, it was hard to get pumped to go. But then, last Christmas, Graeme received two adult admissions from our sister-in-law, and then we were non-contractually bound to make a visit. And, so we went, husband, son and I and my parents, who do no impress easily (they’re Asian, remember). We handed over our admission tickets, my parents got their senior discount, our son, under 3, got in free, and we were in. It was busy, and the distance to view each tank was maybe two strollers deep, but it was quite impressive. 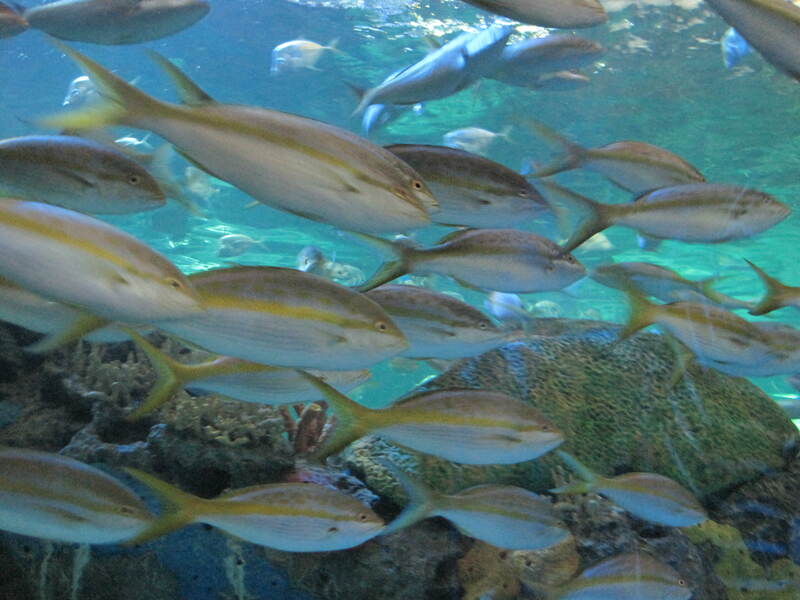 The aquarium is a digestible size, and took up about 2 hours to stroll/shimmy through. Some sections were quite congested but others were not. The conveyor belt viewing of the shark tank was a god send as it didn’t require any elbows. 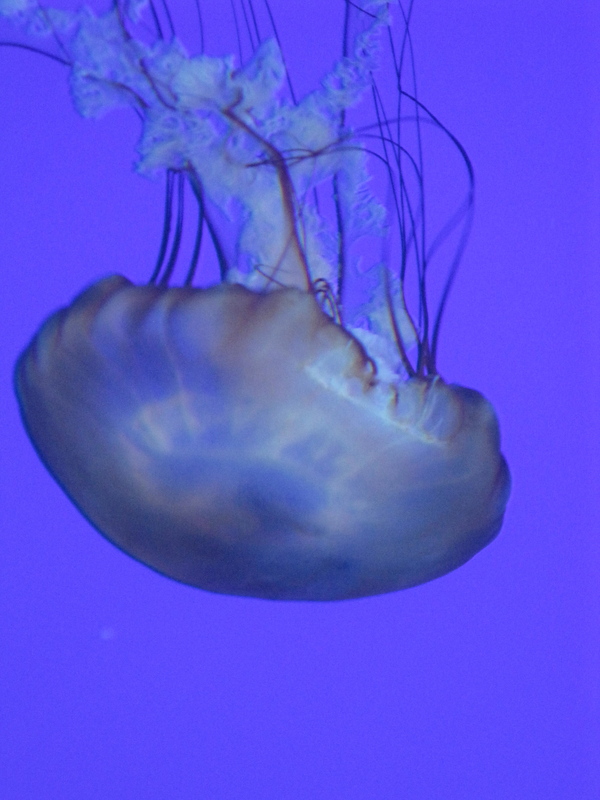 Oh, and the jellyfish were …otherworldly. Despite all the craziness, it was a great visit! My parents even had a good time (and that’s saying A LOT). They cracked jokes about how if this attraction was in China, people would mistaken it for a seafood restaurant. My mom did fantasize about cooking a few of the plumper non-poisonous fish she saw – steamed with some spring onions or ginger with a spritz of hot oil bring out the aroma. With hand over mouth, some knee slapping, and hoping to not make a scene, we all had a hardy laugh. My parents love their seafood.